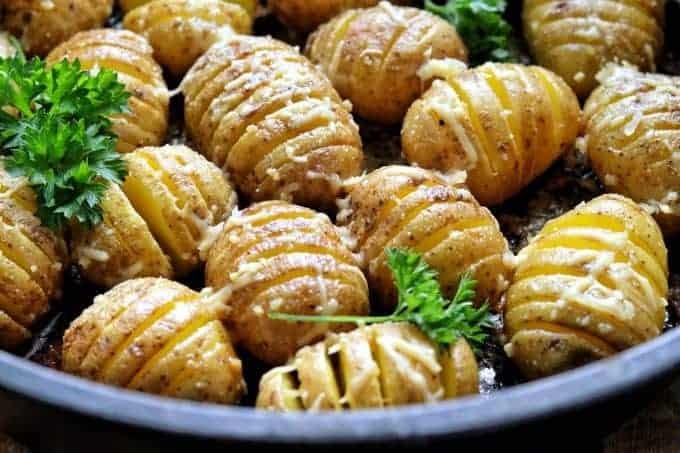 Hasselback potatoes are a great way to put a unique twist on a traditional baked potato. 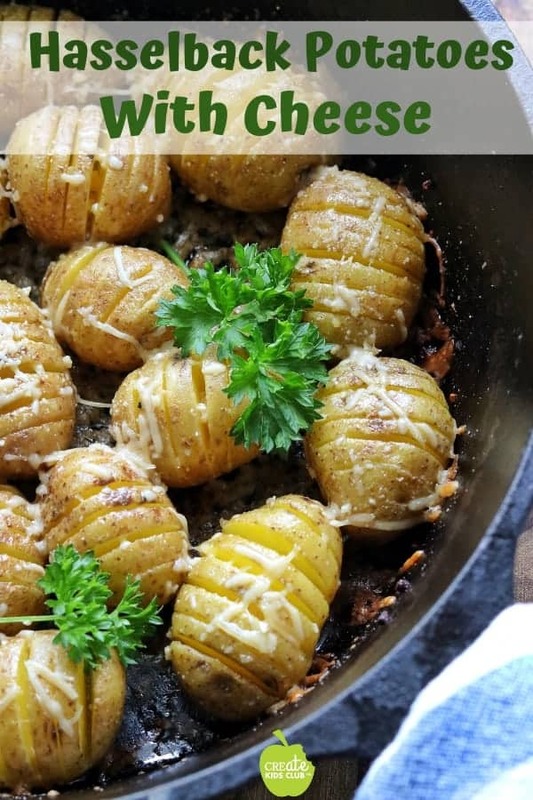 My family LOVES when they see these buttery & cheesy potatoes on the dinner table. This recipe will soon be a top favorite at your house! 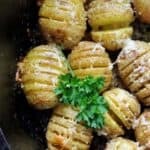 When I first saw a recipe for Hasselback potatoes with cheese, I thought the recipe would be difficult and time consuming to make. I wrong. Prepping the potatoes takes under 10 minutes then you pop the pan into the oven and the timer is going off within the hour. KITCHEN TIP: I set each potato between two knives and slice to prevent the knife from going all the way through the potato as seen below. You can also use spoons, chopsticks or a wood ladle when cutting. 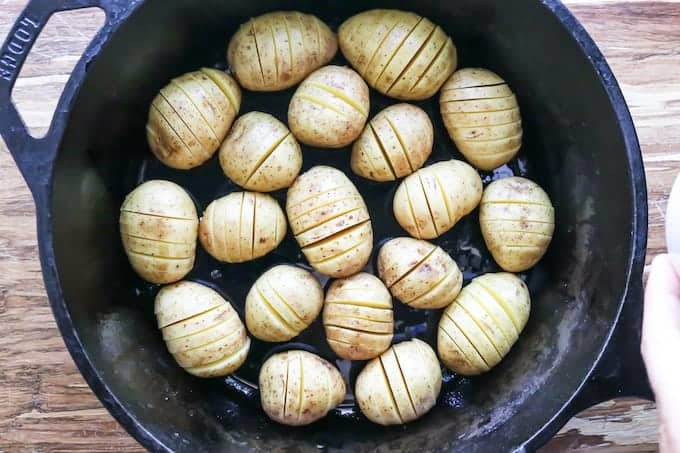 Follow my step-by-step guide to make flavorful and tender sliced baked potatoes. While the potatoes cook, I highly recommend making my Beef Tenderloin Steak Recipe or Baked Chicken Thighs recipe to pair with the cheesy potatoes! 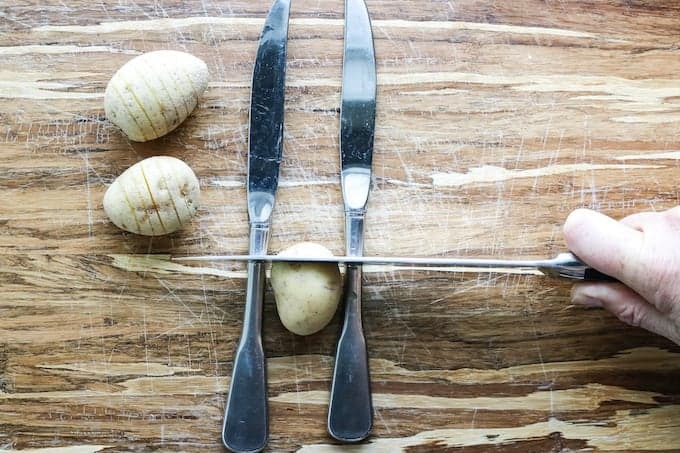 Place potatoes between 2 knives and slice (this prevents the knife from going all the way through the potato). Slice horizontally into 1-centimeter sections. In a small microwave-safe bowl, add butter, garlic, and salt. Heat for 35 seconds or until butter is melted, stir. Absolutely! 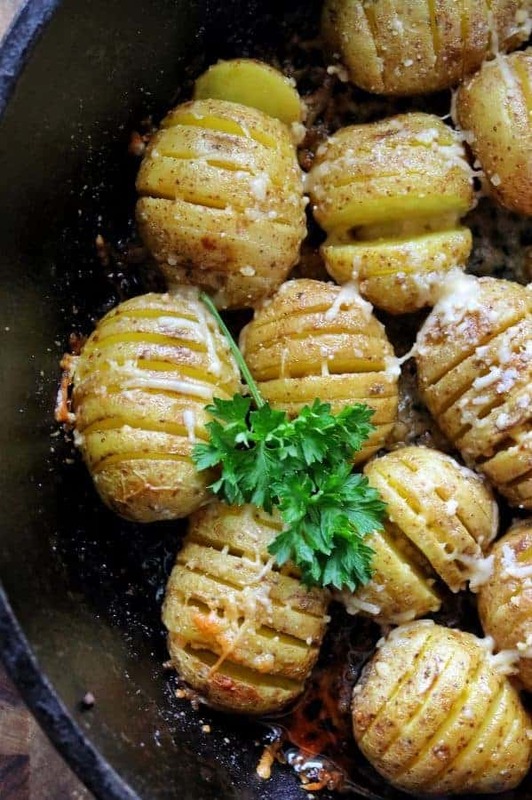 The possibilities are endless when it comes to Hasselback potato toppings. 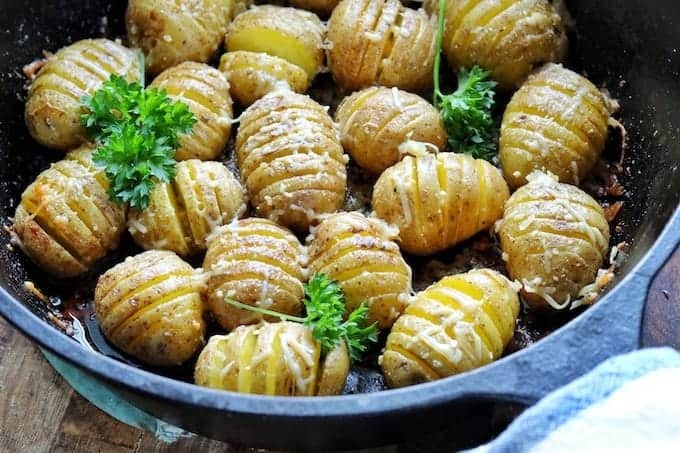 Make a loaded Hasselback potato bar at your house by setting up a variety of toppings on the table & letting your family pick their favorites. Get creative with your spuds & share your favorite topping ideas!